You are at:Home»BUZZ»Remix IO – a souped up Chromecast! The Chromecast is a great device for streaming videos. However, if you’re looking for something a little bit more, you may want to check out Remix IO. Streaming in 4K – check. Playing games – check. Checking emails – check. 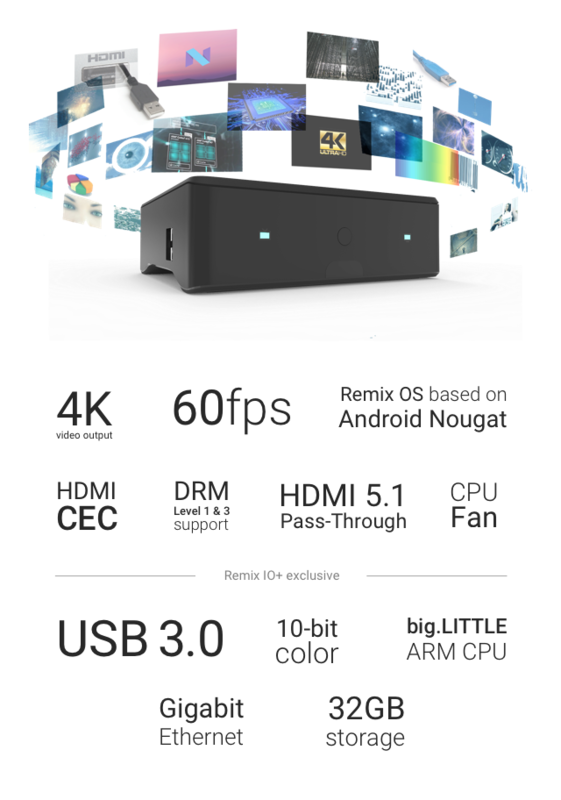 Remix IO is an Android box – based on Android Nougat – powered by the latest Remix OS. There are two different models, the Remix IO and the Remix IO+, priced at $99 and $129, respectively. 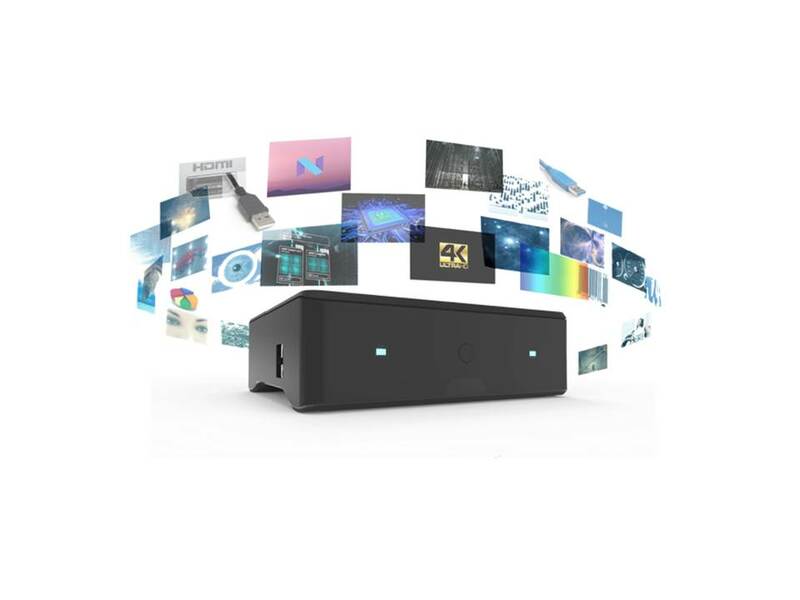 Both versions comes with with 4K video output at 60 frames per second, ethernet, HDMI, VGA, Bluetooth, Miracast, and wireless. The main differences is that the highee end Remix IO+, comes with 4GB of RAM vs 2GB, 32GB of onboard storage vs 16GB, and 2 USB 3.0 ports. With 17 days to go, Remix IO has exceeded their Kickstarter goal and is expected to ship March 2017. Visit Remix IO on Kickstarter!